In northern and western Loudoun County, a network of beautiful and historic gravel roads is under threat of disappearing. Development in support of the growing Washington D.C. suburbs has encouraged a rapid transition from bumpy, winding pathways to traditional pavement in order to speed commutes to the nation’s capital. Specifically, some officials worry that the roads in question aren’t able to support large volumes of traffic in the event that major routes are closed due to accidents or construction. But while residents deserve reliable and speedy routes to their places of work, converting these old country roads into parkways will unnecessarily pave over years of history, as well as take away from the rural character of the region. That’s why Loudoun County should focus on a solution that keeps these roads strong in the face of inclement weather, tamps down airborne dust, and reduces maintenance costs while maintaining the look and feel of a gravel road. 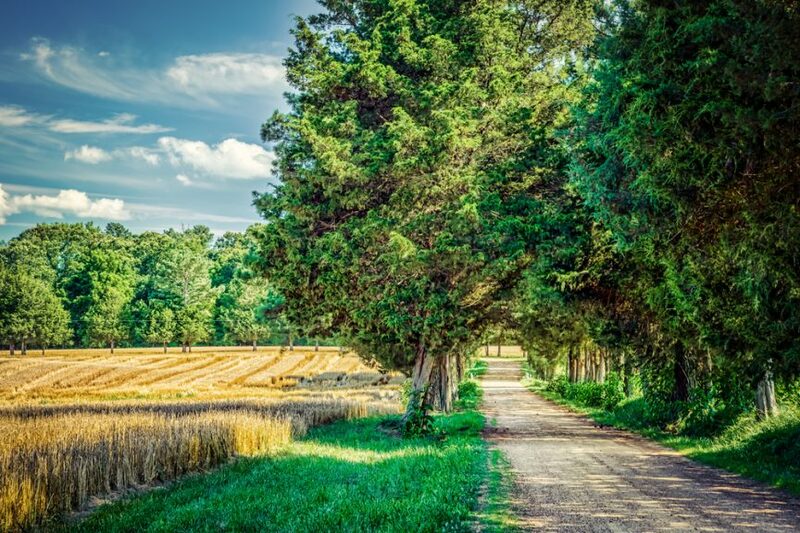 Those who are fighting to protect Loudoun County’s gravel roads have formed an association called America’s Routes, which argues that paving over these roads would be akin to destroying a historical artifact. These pathways represent the migration patterns of the area’s earliest residents, and each of them tells a story that is hundreds of years long. One person working hard to educate the citizens of Loudoun County is Rich Gillespie, a scholar of history with the Mosby Heritage Area Association. Gillespie says these roads were first created to facilitate the movement of produce, livestock, and grain from farmers and millers to the towns where their product would be sold. Over the years, however, they were used to haul slaves to auctions, then to ferry them out of the south as part of an oft-attempted escape route. They were even used to take soldiers back home at the end of the American Civil War. America’s Routes points out that in many cases, gravel roads are actually widened during the paving process. For Loudoun County roads, this could potentially mean the destruction of centuries-old stone walls, as well as many “witness trees,” a term for trees that were alive during major events in American history like key battles in the Civil War. As important as the preservation of history is, the growing Loudoun County community needs infrastructure that can support its needs. The population has surged tenfold in only the last 40 years, and these residents must have access to alternatives when major thoroughfares are congested or closed. This tension between the pathways of the past and the practical needs of the present will likely come to a head during discussions of the development plan currently being debated by county officials, titled Loudoun 2040 Comprehensive Plan Draft. But there might be a middle path available to the residents of Loudoun County. By implementing a custom soil stabilization strategy and application program from Midwest Industrial Supply, Inc., the county can keep their roads in their as-built condition while also providing a pavement-like strength that can support the traffic demands of a growing population. At Midwest, we have 40 years of experience working closely with communities of all sizes and across the country to design soil stabilization programs that fit their requirements. By recommending a product like Soil-Sement Engineered Formula that creates an impenetrable, durable surface with superior compressive strength, we make it more cost effective for rural communities to keep their historic roads while streamlining their commutes.